So I didn’t post the foundation pages because I didn’t really do them. 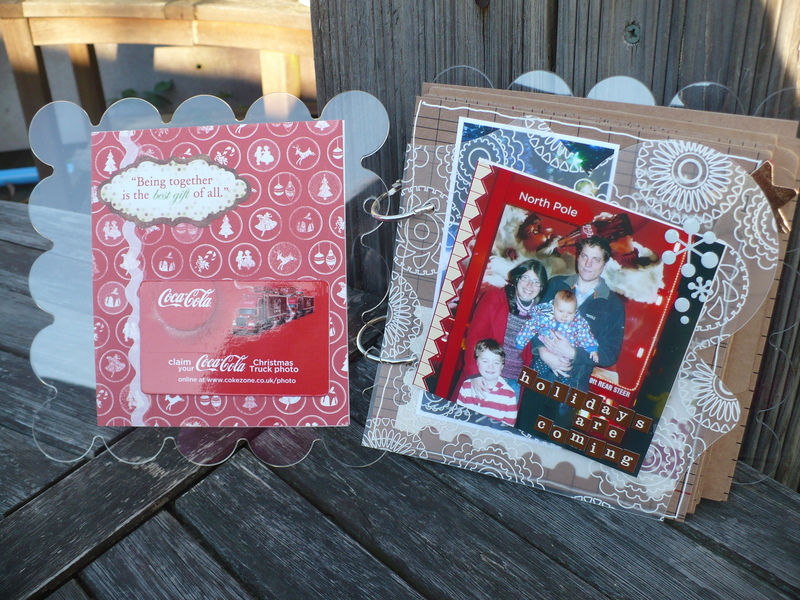 I just assembled plain chipboard pages really. (or lined kraft ones). But here we go with day 1! 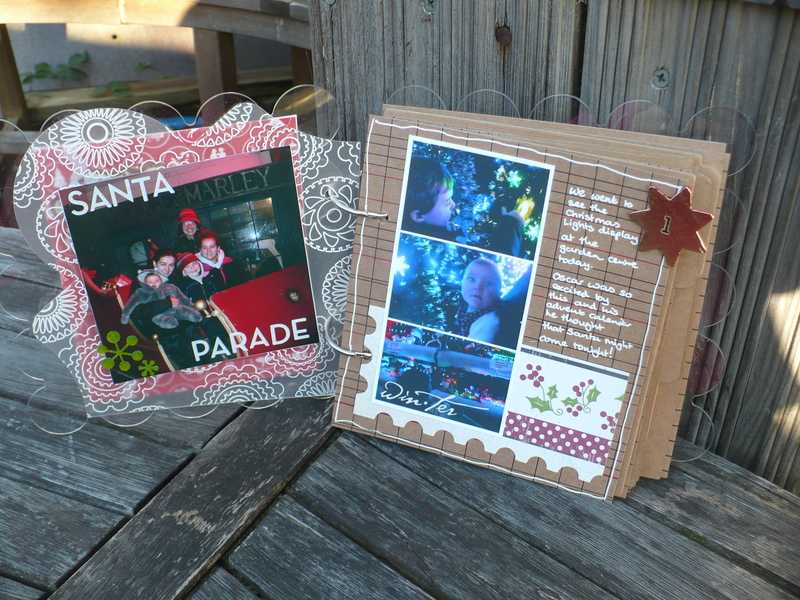 I’m also including a couple of christmassy things we did in November. 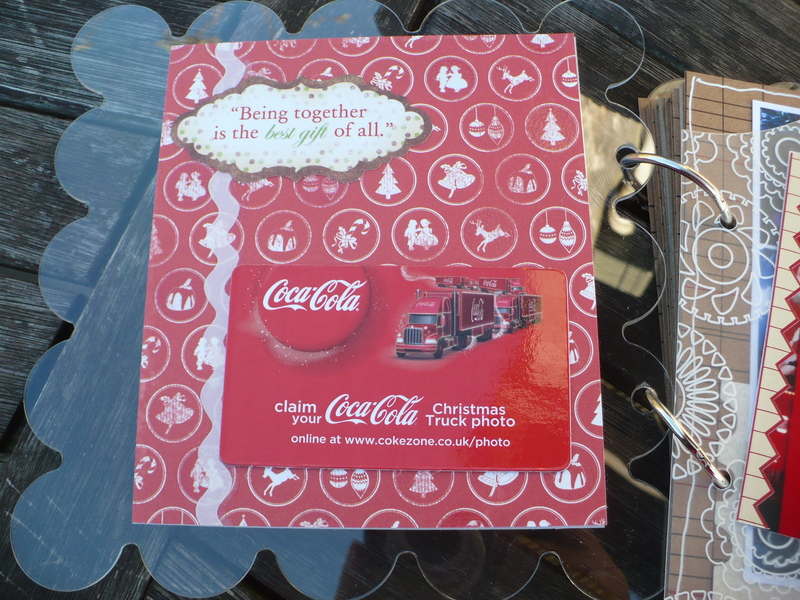 (The coca-cola truck came to town and our town had a Santa parade to turn on the Christmas Lights.) I’ve always missed these out but it doesn’t seem right without them so this year I squeezed them in. Without further ado here are my pages so far. 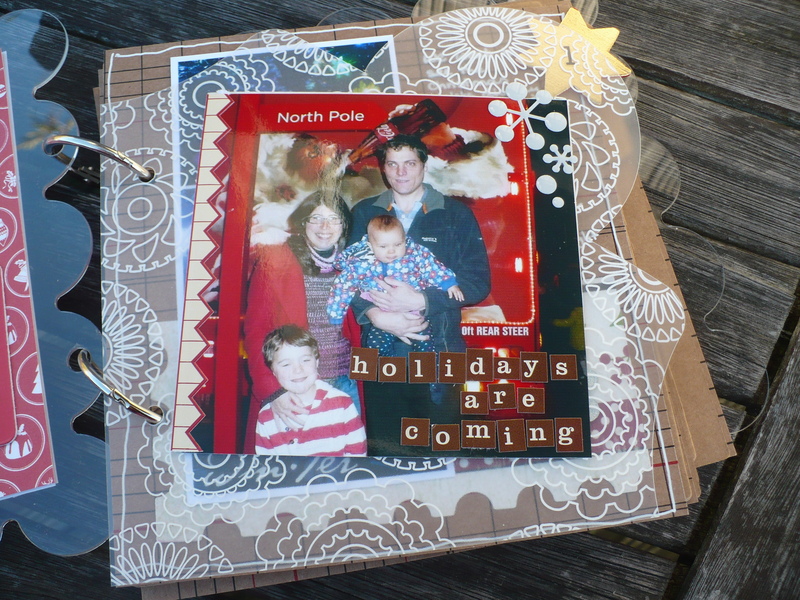 For last years December Daily please look here. 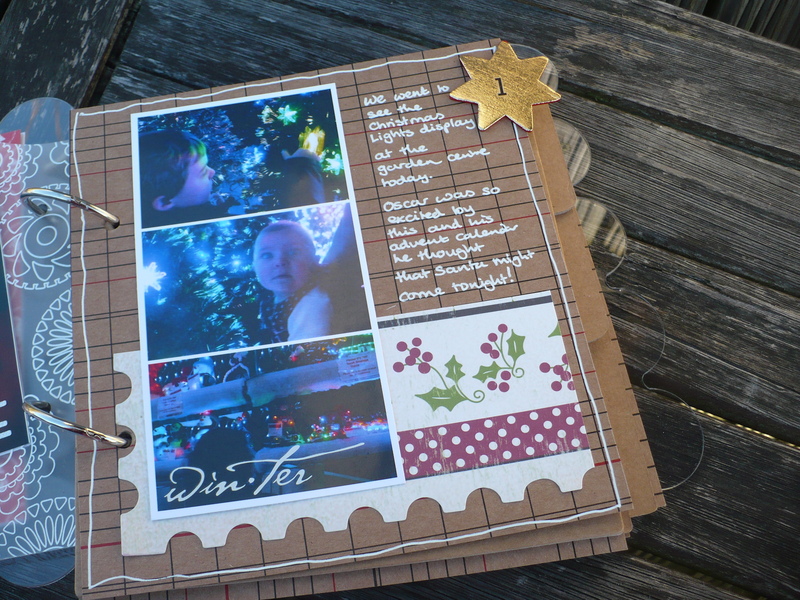 Super creative pages, I wish I could do that! Look forward to following along with you this month! Thanks for your comments. You do several pages, too ! I like your transparencies, it’s awesome ! 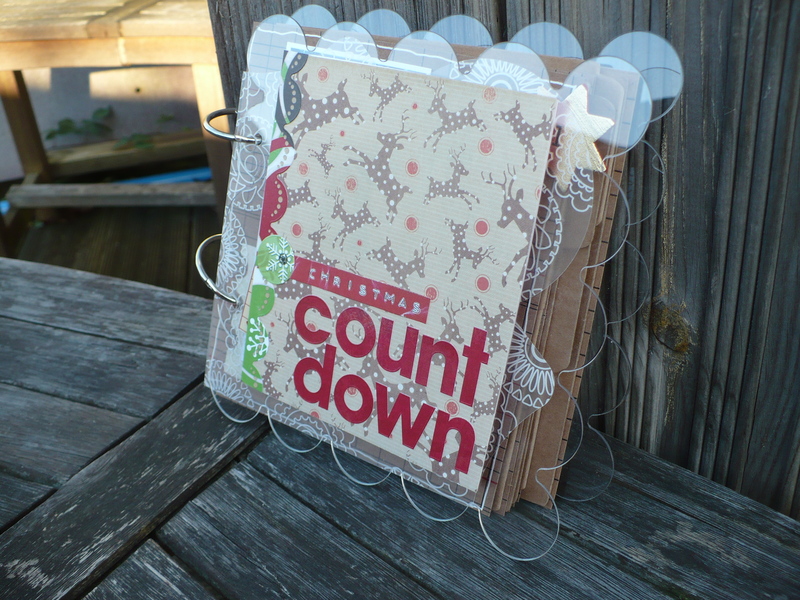 Are really really like the transparencies you are using. It is so cool that the Coca Cola Truck came to your town. That is really neat that you included that. I can’t wait to see your upcoming pages. Loving how your book is turning out! 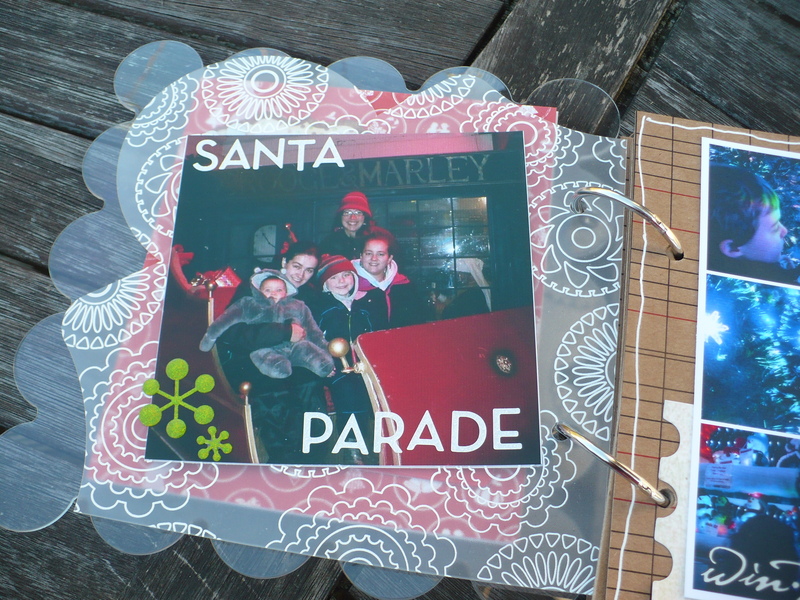 Wow, I love that winter collage and Santa parade page. Your book looks great so far!